As part of its mission to support basic research in physics, the Julian Schwinger Foundation for Physics Research (JSF) has gifted IPAM $750,000, which will be matched by UCLA’s Division of Physical Sciences, to form an endowment of $1,500,000. Funds generated by this endowment will be used to support an annual series of IPAM workshops on multiscale physics. 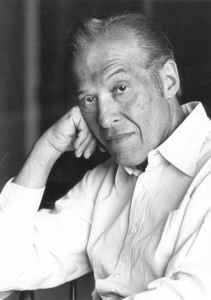 Seth Putterman, President of the Schwinger Foundation, states that “Julian Schwinger was fascinated by multiscale issues, and would have enthusiastically supported these workshops. IPAM is the perfect place for them, because of its history of promoting the interaction of mathematics with physics and other disciplines.” This is the second major gift to UCLA by the JSF, following an earlier gift to UCLA’s Department of Physics and Astronomy, which established a graduate fellowship to recruit the finest young minds in physics. “The Foundation hopes that these gifts establish a template for donations from other individuals and organizations,” according to Putterman, who is also Professor of Physics at UCLA. We thank Seth Putterman and the Board of Directors of the Schwinger Foundation, as well as Dean Miguel Garcia-Garibay (Physical Sciences, UCLA) for their efforts in building this partnership that will strengthen IPAM’s position as a leading center for interdisciplinary mathematics and science.